Sudden weight gain in cats and dogs is a very common problem experienced by many pet owners. A several medical conditions may be the cause of your pet’s weight gain. 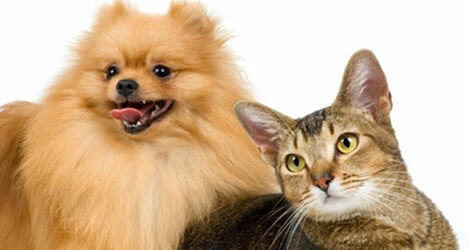 Your dog or cat may be supplementing its diet from next door or from the wild. As per statistics, one out of every three dogs is suffering from obesity. Obesity has been associated with a number of other problems, including high blood pressure, certain tumors and heart diseases. No matter what is the cause of obesity in your pet, the bottom line: your pet is taking too much calories than he is using. If your furry friend has recently put on weight, a consultation with your vet is a good idea. A vet will help you trim down your kitty or dog. No one sure how many calories your furry friend needs to maintain a healthy weight. Your pet may like to eat any time, even he is full. Do you know a canine weighing between sixty seven to eighty eight pounds need between 1100 to 1700 calories a day. A high amount of calories can make your dog or cat fat. Getting very less exercise is a very common reason of obesity in dogs and cats. The amount of exercise your furry friend needs to thrive depends on its breed, age and size. In order to give a healthy and happy life to your pooch, set your goal for at least twenty to sixty minutes of activity with your canine every day. Internal parasites will often cause fluid to build up around the area of infestation, causing a potbellied appearance. You can see this in young animals whose immune system is not strong enough to resist the effects of parasitic infestation. This is the most obvious cause of obesity and potbellied appearance in female cats and dogs. Many pet owners are completely unaware that their female dog or cat is pregnant until there is little ones staring them in the face. If your female pet is not spayed, she can become pregnant. There are some medications that can lead to weight gain, especially if they are taken over a long period. If your cat or dog is on any kind of medication and also have an obesity problem that you cannot control through moderate exercise, you need to consult with your veterinary. It is highly advisable when you see any sign of obesity in your cat or dog, visit your vet as soon as possible to prevent it. If you leave it untreated, it can develop a number of diseases. To know more about it, get in touch with us.